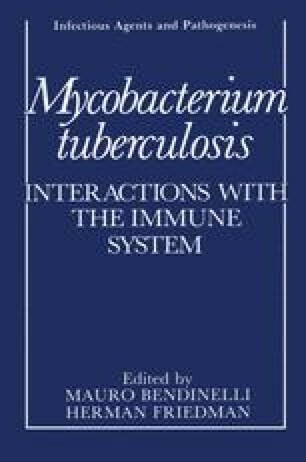 A complete understanding of the interaction of Mycobacterium tuberculosis with the host would explain several distinctive epidemiologic and clinical features of human tuberculosis. Following primary infection with M. tuberculosis, the usual course is resolution, without specific drug treatment; only 5–15% of infected individuals develop overt tuberculosis. Factors predisposing to progression of the primary infection or delayed reactivation of a latent focus are not well understood. It is clear, however, that major deficits in cell-mediated immunity are associated with increased risk of progressive tuberculosis.